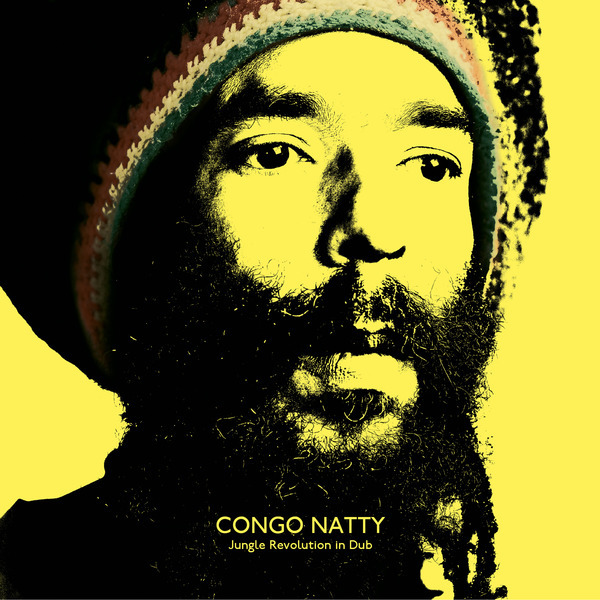 "Congo Natty has drawn on dub-soldiers new and old, UK-based and beyond, for this project. Digidub legends Dubkasm and the one and only Adrian Sherwood rub shoulders with Glasgow’s Mungos HiFi and Hungary’s DJ Madd, with the likes of Conscious Sounds, Vibronics and Jinx in Dub all bringing their own unique flavours. Meanwhile bass music stalwarts like King Yoof and Sukh Knight sit alongside a new generation of dubstronauts, Hylu & Jago taking their place with the scions of UK dub royalty, Joe Ariwa (Mad Professor’s son) and Young Warrior (Jah Shaka’s son!). Years in the making, Congo Natty's Jungle Revolution was welcomed by junglists and bass heads as a kind of Second Coming when it was released in 2013, with the press enamoured of its “street-tough urban sermons” (The Guardian) and the “postivity [which] oozes from every groove” (The Times). Since then, Tafari has been performing all over the world, keeping the flame of the jungle movement very much burning. Drawing on over thirty years of British bass music, “Jungle Revolution in Dub” is a unique take on the dub album, somewhere between traditional dub, versioning and remixing, a kind of echo chamber of styles and sounds. They all share one thing in common, though, and you won’t be surprised to hear that’s bottom end. Let’s hope your subwoofers can handle it."